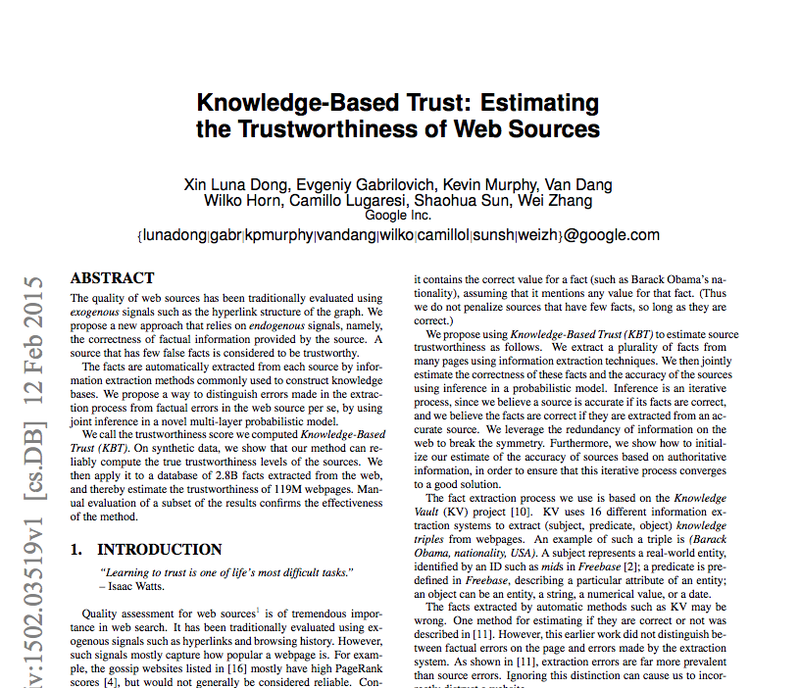 A Google research paper, reported here and here, suggests the search engine’s infamously secretive algorithms might be applied to rank websites and information according to truthfulness rather than popularity. Robot-curated “truth” is a nice idea – and might even work, in some cases. Some facts, simple data, could easily to cross-checked and given a tick of approval. It was 20 C in Melbourne yesterday? Tick. At what point the algorithm has to give way to human discretion to decide between shades of correct information and misinformation is the challenge. This mooted experiment on the ABC’s panel discussion show Q&A seems to be an attempt to parlay its Twitter-obsessed following into a kind of instant name-and-shame fact-checking operation. Are there dangers in asking a television audience – no matter how intelligent or engaged with the subject – to determine “truth”? What are they? Before the Enlightenment and the rise of reason, “facts” used to be defined as “what most people think is true” (Mary Poovey, <A History of the Modern Fact>). Might this kind of truth determination lead to a slide back towards that passe definition?